Abstract free hand drawings, shapes this pattern. It can be repeated four times, to create a pattern surface. Embroidered by using both whole and half stiches, thereby creating two nuances, despite just using the one color. 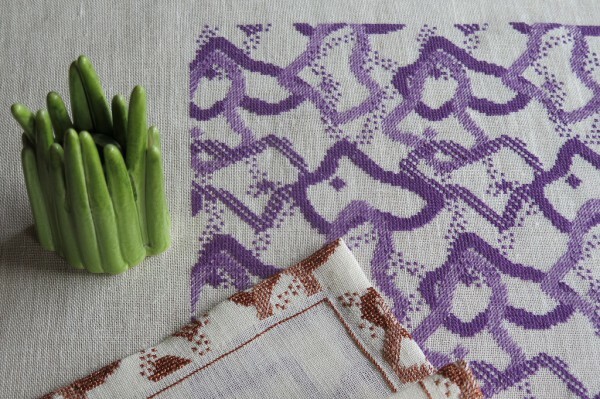 The 10 outer rows of the tablecloth pattern, is embroidered on the napkin. This entry was posted in Free Patterns and tagged abstract, napkin, tablecloth, violet by Bodil Byriel. Bookmark the permalink.